Well our newest line is no exception. Twice Upon a Time is the upcycling crafty workings of a Halifax mom. 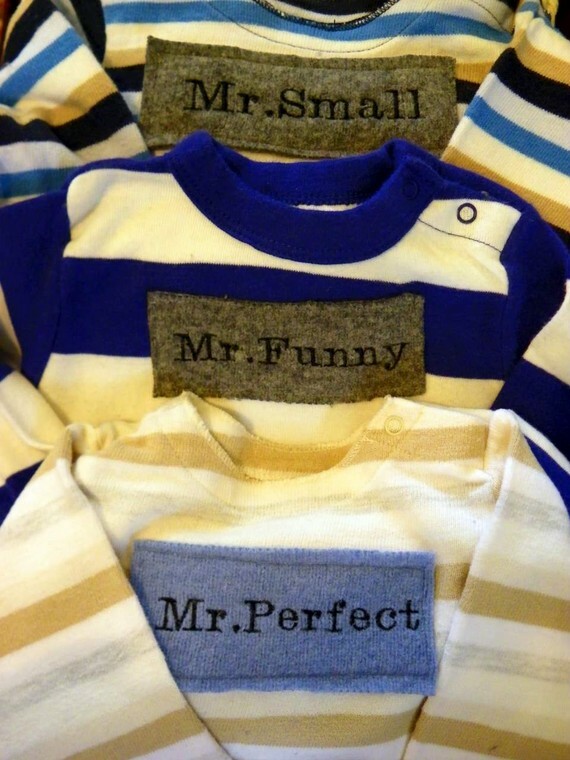 Amanda Langley embellishes gently used onesies and suits with embroidered & (sweater) felted “name plates” like “Mr. Happy” “Little Miss Sunshine” and my personal favorite “Mr. Tickle”. Twice Upon a Time’s pre-loved fashion line for wee ones allows kids the opportunity to have cutie patootie one of a kind fashions at an affordable price with an earth saving kickback. NICE! Shopping for kidlets made easy. Oh! 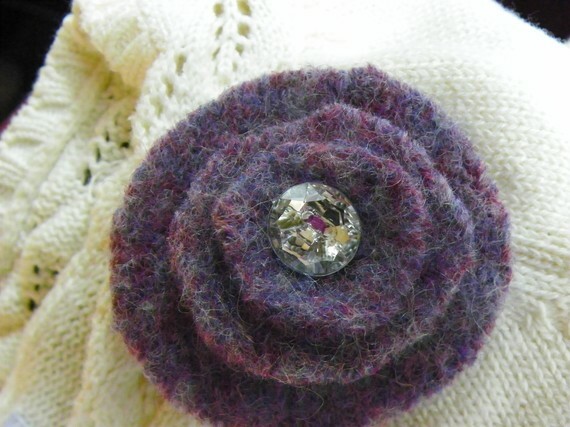 and with all her excess sweater felty bits and reused buttons, Langley makes little flower “bloom” pins/brooches to add to any little gals coat or sweater.